The primary purpose of the care manager position is to provide each assigned resident with routine daily nursing care and services in accordance with the residents' assessment and service plan and as may be directed by supervisor.Care managers are required to work cooperatively within the department as well as with other departments; report pertinent resident information to the immediate supervisor and respond positively to resident inquiries or requests. Knowledgeable of the individualized care plan for residents and provide support to the resident according to the care plan. Contribute to the care planning process by providing the charge nurse or other care planning staff with specific information and observations of the residents' needs and preferences. Attend to the individual needs of residents which may include assistance with grooming, bathing, oral hygiene, feeding, incontinent care, toileting, colostomy care, prosthetic appliances, transferring, ambulation, range of motion, communicating, or other needs in keeping with the individuals' care requirements. Maintain the comfort, privacy, and dignity of each resident in the delivery of services to them. Interact with residents in a manner that displays warmth and promotes a caring environment. Answer residents' call bells promptly and courteously. Perform various tasks assigned by the charge nurse including vital signs, residents' weights, applying creams/ointments, collecting specimens, etc. A High School Diploma / GED Diploma. Successful completion of a Home Health Aide Certification course or other education which meets state requirements. A minimum of three months' prior nursing assistant experience in assisted living or long-term care preferred. (with or without the aid of mechanical devises)Must function independently, have flexibility, personal integrity, and the ability to work effectively with residents, personnel and support agencies.Position requires proficient interpersonal and communication skills, moderate reading, writing, grammar skills, visual and auditory skills; the ability to bend, stoop, sit, stand, lift, reach and push or pull a minimum of 50 pounds. Located in the heart of Long Island this community is easily accessible off of the Long Island Expressway, the Northern State Parkway, and the Seaford Oyster Bay Parkway. 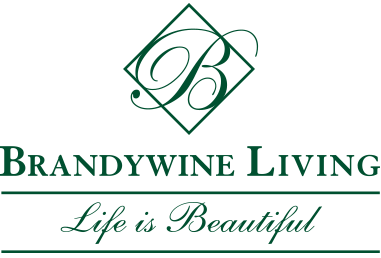 It is the only Brandywine community that offers Independent Living, Assisted Living, and memory care services to seniors in need.